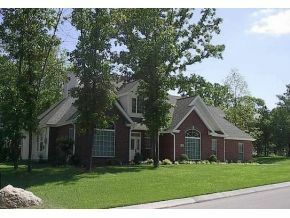 190 Windy Ridge in Hollister MO 65672 is located in prestigious Branson Creek Golf Community. Call the Crispin Team at 417-335-3109 to see if this home is still available! Branson Creek is one of the top master planned communities in the United States. 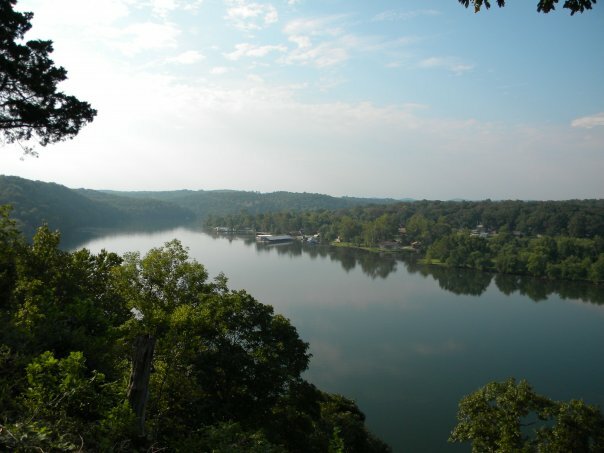 Branson Creek community blends in to the Ozark landscape, with hills, valleys and creeks. There are two championship golf courses in Branson Creek. HIking and biking are also favorite activities of the residents of Branson Creek. 190 Windy Ridge is located in Oak Knoll of the Branson Creek Community. This beautiful brick home was designed for natural lighting throughout the home. The living room has arched display shelves, along with arched skylights. 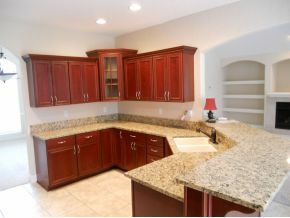 The gourmet kitchen has solid wood cabinetry, granite counters and stainless steel appliances. A large granite breakfast bar surrounds the kitchen, which is perfect for family and friends to gather around the center of activity. The Master Suite is spacious with a large walk in closet lined with shelves to neatly store all clothing. The Master Bath features a whirlpool tub, walk in shower and dual vanity. A screened in porch is a very popular room in this home. This is a great place to enjoy the seasons of the Ozarks. Branson Creek Community has 2 premier golf courses, a clubhouse, community pool, fitness room, tennis, walking and biking trails to enjoy. Branson Creek Golf course is a championship golf course utilizing the natural terrain of the Ozarks. Murder Rock Golf course is a John Daly designed public golf course. Branson Creek community is minutes away from Branson Airport and 5 minutes away from live entertainment in Branson MIssouri. Contact the Crispin Team 24-7. We are available when you are. Carolyn Crispin is a top-producing Branson real estate agent in the Tri-Lakes area. Her 35years in investment and sales have been a great contribution to her success in the real estate market. Carolyn's qualified team of 12 combine their individual talents and unique abilities to meet the specific real estate needs of any client with confidence and the highest degree of professionalism. The Crispin Team has someone available 24-7 to answer your questions or serve you. 7 Times the Class - 7 Times as Fast! Carolyn believes that her affiliation with a national real estate company like Keller Williams, offers her clients many benefits that can only come from a top real estate company in the nation.